On September 28, Facebook VP Guy Rosen wrote a blog post announcing a “security issue affecting almost 50 million accounts,” where unnamed attackers used a vulnerability to access millions of users’ accounts. Facebook followed up on the security incident last week, and sent notifications to 30 million users on Friday detailing what personal data of theirs had been accessed by the attackers. Earlier that same week, on October 8, Facebook announced a $US200 camera-and-microphone device for the home, called Portal, for video calling. People are sceptical of Facebook Portal, considering its recent scandals involving privacy and data collection. Part of Facebook’s goal is to connect people – friends, family, and even strangers – by creating technology that facilitates communication and human interaction. And so, it makes sense that Facebook would build a device for real-time video calls – like Apple’s FaceTime, but in a standalone device that can plug into Facebook’s massive address book known as Messenger. Facebook unveiled such a device last week – two, in fact – called Portal and Portal+. Portal features a 10.1-inch display and costs $US199, while the 15.6-inch Portal+ costs $US349. Rob Price/Business InsiderFacebook Portal+, left, and Facebook Portal. This should be an exciting moment for Facebook: It’s the company’s first piece of self-made hardware, and it’s directly related to the company’s mission statement. But, as with many things in life, timing is everything. Facebook was reportedly planning on unveiling the Portal back in May, but decided against it. A Bloomberg report said Facebook was still reeling from the public outcry over revelations that UK consulting firm Cambridge Analytica had improperly accessed the personal data of 87 million users and then used that data to influence the users with political ads. People were very upset; It didn’t seem like a good time for Facebook to hawk a camera-and-microphone device for the home. Unfortunately, Facebook chose last week to reveal the Portal device – and the timing wasn’t much better. Just four days after Facebook announced Portal, the company announced in a blog post that 30 million Facebook accounts were hacked by unnamed attackers. On Friday, Facebook users began receiving notifications from the company detailing the types of information (phone numbers, birth dates, etc) the hackers took. Facebook had previously updated the public on “a security issue affecting almost 50 million accounts,” on September 28, so the company had ample time to delay the Portal announcement. But that didn’t happen, and people learned about the Portal the same week they learned their Facebook accounts were hacked. As you could guess, the Portal announcement did not play out well online, among critics or anyone else, really. We reached out to Facebook to learn more about the timing around Portal’s announcement. Beyond the initial reactions, it will be interesting to see what people think once they get Facebook Portal into their hands. As I haven’t tried the device myself, I can’t say whether or not it’s worth its $US200 or $US350 price. What I will say, though, is that on paper, it has most of the same features you can get elsewhere. 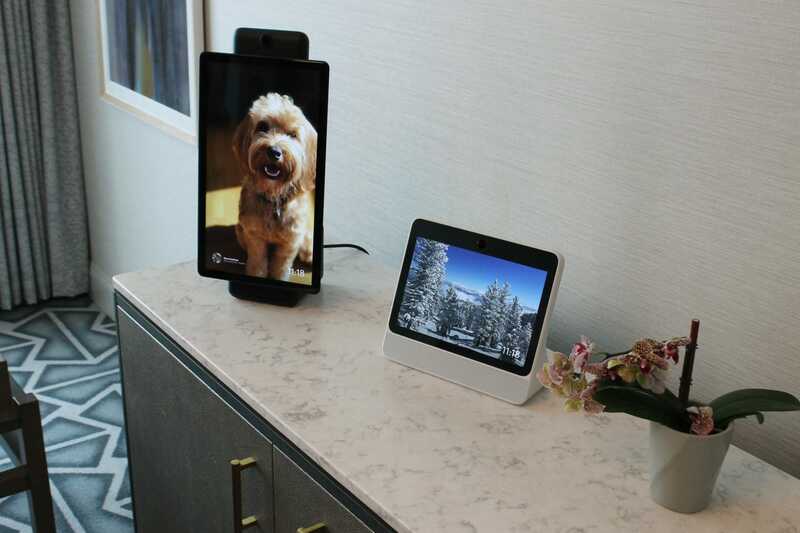 Maybe you want a large tablet in a specific part of your home to take video calls, and that’s great. But most services you’re getting on Facebook Portal are available elsewhere: You can make video calls from your phone, tablet, or laptop, plus you can use any of those devices to look at photos and videos, or listen to music. From a privacy perspective, Facebook’s Portal raises the same concerns as other passive-listening smart home appliances from the likes of Google, Amazon and Apple. Facebook’s poor track record with privacy might make you more weary of their product, but letting any company (even a company that doesn’t have an advertisting-based business model) put a microphone and video portal in your living room is a risky proposition. Ultimately, people may not think about Facebook’s history with data collection and privacy when they’re considering this device. They will buy it, and keep it, because they like what it can do.